The mining bees of Florida are made up of only four genera (Andrena, Perdita, Calliopsis, and Pseudopanurgus) and make up just over 50 species all together. Mining bees are known from their sometimes conspicuous mounds of dirt they excavate when building their nests. Many Andrena species emerge from their nests in the early spring and begin foraging from the earliest flowering plants, like red bud (Cercis canadensis), hog plum (Prunus umbellata), and Yaupon holly (Ilex vomitoria). They then begin building their nests in the soil often creating a mound or tumulus at the nest entrance. These bees are solitary, but will sometimes nest in aggregations if prime habitat is discovered. Andrena species vary in size, but many are medium sized and have very hairy legs for collecting pollen. There are about 30 species of Andrena found in Florida. 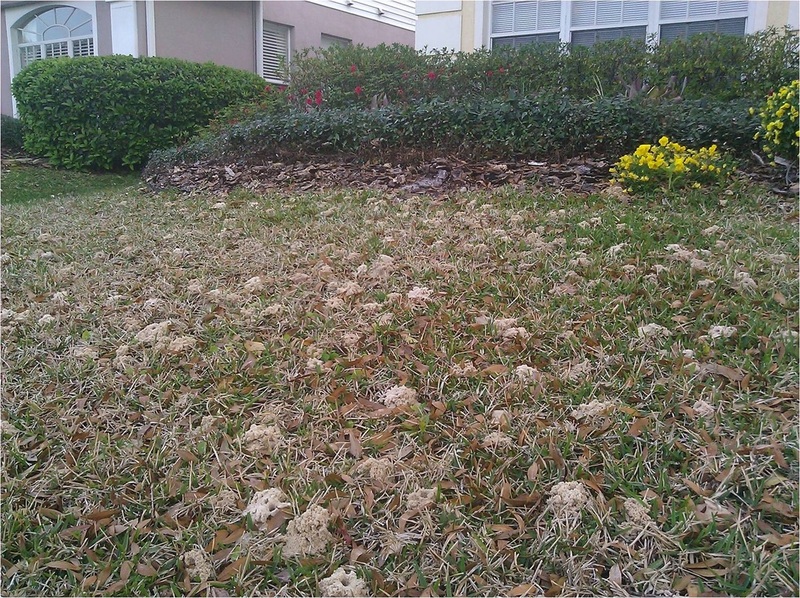 A nesting aggregation with lot's of nest mounds in Orlando, FL. The next most numerous group of mining bees in Florida is in the genus Perdita. These are very small bees, the smallest in North America, often with distinct cream or yellow markings in their face and abdomen. Perdita are common on the beach dunes as they nest in pure sand. Instead of lining the inside walls of their nests, like most bees do, they cover the stored pollen with a glandular secretion to protect if from getting moldy. They are frequent visitors of common dune plants like blanket flower (Gaillardia pulchella), dune sunflower (Helianthus debilis), and camphorweed (Heterotheca subaxillaris) and are most active during the summer. 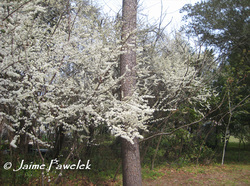 Hog plum in full bloom.